During the relatively short lifespan of the SF-AF1 series, the Swoosh has continued innovating the boisterous silhouette with new materials, colors, and structures. Now, Nike is ready to bring a brand new look to the military boot-inspired lifestyle sneaker by way of a starry design on its ankle collar straps. Fans of the special forces sneaker will have their choice between a Red Crush and a Muted Bronze colorway that utilize premium suede around their toeboxes with its customary ballistic nylon toward the heel. Obviously, their focal points come by way of the aforementioned all-over star graphic that dresses up both ankle straps in a color that coincides with the aesthetic of the rest of the sneaker. 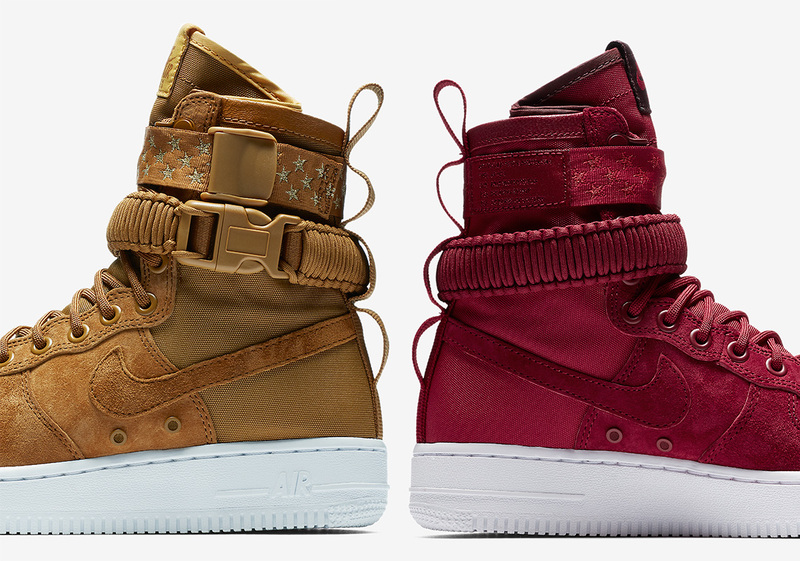 At the moment, an official Stateside release date has not been reported for these two SF-AF1s, but the presence of official Nike images lends to a release on Nike.com in the very near future. While you wait, check out the detailed look below and head over to our Sneaker Release Dates page for info on other upcoming Nike shoes.